It can be confronting and everyone handles that change differently. Some people own it and rock the bald look, and hats off to them! Others don’t feel so comfortable and that’s okay too! It’s important to feel good about yourself during a challenging time, and taking charge of your appearance can be really powerful in how you feel physically and psychologically. Again, this won’t mean the same thing to every person but wearing makeup, a head scarf, a wig or just being pampered can make you feel good and do wonderful things for your mental health. Depending what drugs are used as part of chemotherapy, the frequency of treatment and the dose, it is possible to experience hair loss. It often starts a few weeks after you begin chemotherapy and usually happens pretty quickly. It’s possible to lose hair from anywhere on the body, but eyebrows and eyelashes usually take longer to go (if they go at all). There are a lots of resources available to people receiving cancer treatment that experience hair loss, and many of them are free! Epworth HealthCare’s Wig Salons are just one of them, but Cancer Council Australia also do amazing work across the whole of Australia. Is there anything you can do to prevent hair loss? Scalp cooling machines can be used to help prevent hair-loss during chemotherapy. They’re used to cool the scalp immediately before, after and during chemotherapy treatment. While it’s not guaranteed, there’s a great chance this will drastically reduce your hair loss (if not prevent it altogether). 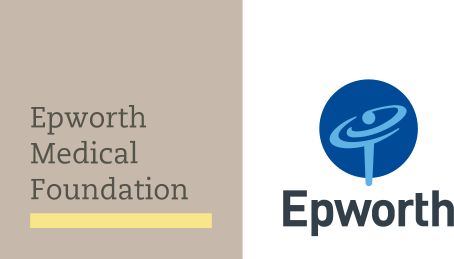 People receiving cancer treatment at Epworth have access to their Wig Salons and scalp cooling machines, both thanks to the generous donors through Epworth Medical Foundation. The Wig Salons at Epworth are run by volunteers and, with the support of professional hairdressers, offer extra services like in-salon trims. They professional fit wigs, and offer alternatives such as silk scarves. If you'd like to become one of the generous donors that make projects like these at Epworth possible, you can learn more here or look into volunteering here.